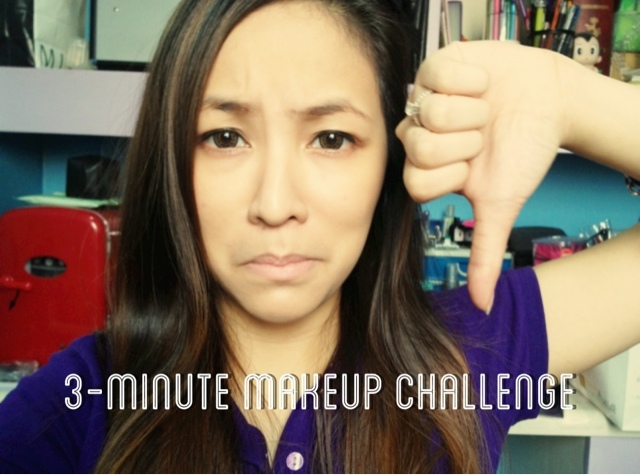 3-Minute Makeup Challenge | Vanity and Everything in Between. A lot of makeup "Youtubers" have been doing these time constraint makeup application videos. It's fun to watch but I didn't just join the bandwagon right away because I had certain reservations. First off, I know that I apply makeup slowly. I really take my time when I have the time. But then, I ran out of videos to make. So, I gave in and decided to do the 3-minure makeup challenge. I thought it was going to be easy since I just had to get random makeup from my stash. But the time limit killed it. Anyway, please watch the video to see how I did on this challenge!